While this very nice saying may have meaning to you we can also Engrave your unique saying on your OTK paddle. This paddle is made of solid 1/2" Cherry wood but other woods are available. 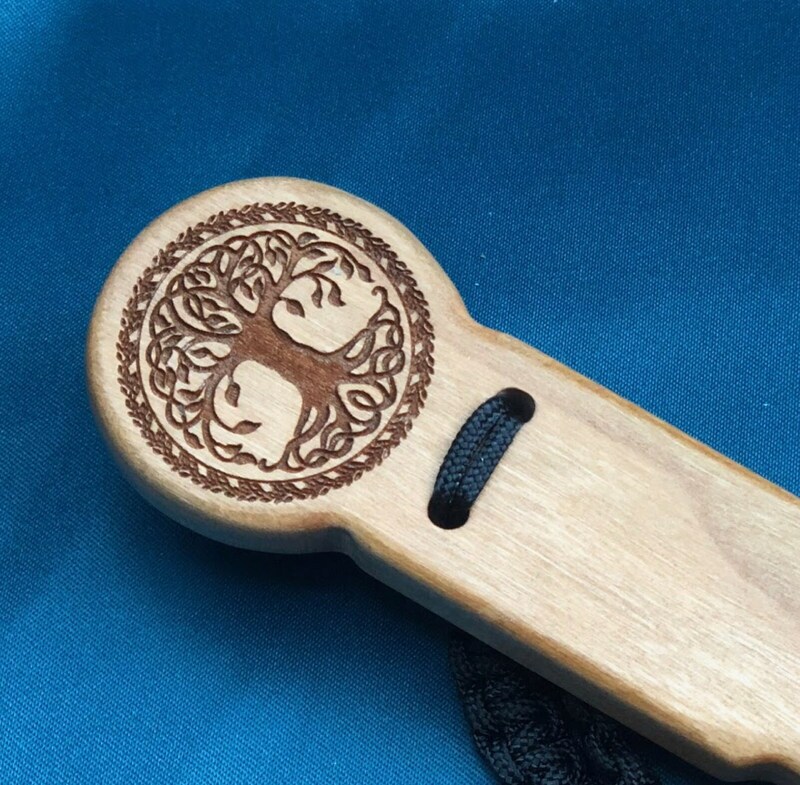 The paddle is 13 inches long and fits easily in a bag, purse or pocket and also hangs nice on a belt. A beautiful art piece for the wall too. Make a “statement” at your next event or party!